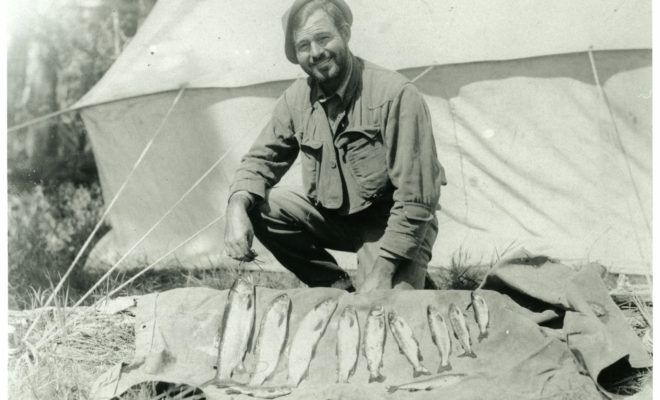 In Ernest Hemingway’s well-received short story, “The Short Happy Life of Francis Macomber,” the legendary American author writes of hunting big game in Africa with the prose and confidence to which only experience can give birth. When Hemingway wasn’t stalking lions and other big game across the African plains or swilling scotch in the South of France, he found refuge from metropolitan life in a cozy cabin at Spear-O-Wigwam in the Bighorn Mountains, and is rumored to have frequented watering holes such as the Mint Bar in Sheridan and the Last Chance Saloon in Big Horn. Following the success of his renowned modernist novel The Sun Also Rises, Ernest stole away to his home in the woods near Park Reservoir and began to write a first draft for the quintessential WWI chronicle: A Farewell to Arms. The troubled novelist split his time between enjoying the splendor of the outdoors and plugging away at one of his many literary triumphs, living deep and sucking the marrow of life in the spirit of fellow nature lover Henry David Thoreau. 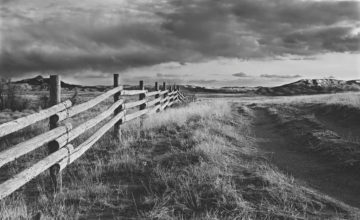 Unfortunately, even Wyoming’s beauty was not enough to save him from his inner demons, as Hemingway tried to commit suicide by spinning a plane propeller in Casper. Although a tortured soul, his brilliance and lasting effect on modern American literature are undeniable. His passionate simplicity has inspired many writers to mimic his literary style but, of course, have all come up short in comparison to the originator found in Hemingway. The literary soldier found new life and eloquent breath between the pages of Hemingway’s harrowing works, and many subsequent fictional servicemen owe their lives to Ernest Hemingway. *Excerpt from Carlos Baker’s Ernest Hemingway Selected Letters 1917-1961. I had seen what I assumed to be the original letters with the text above sent by Hemingway to his publisher. It was written on Occidental Hotel stationary, and hanging in a suite if I recall correctly at the Hyatt Hotel in Tokyo. I will never forget how surprised I was to see the Occidental stationary and then read the letter by Hemingway. Wish I could remember more detail.